Based on the hype this book had coming into its release date and a pretty sweet cover, I was excited to get my hands on a HC copy [shoutout to Penguin] and also the audiobook via Audible. Having said that, after finishing the 620+ page novel / 22 hour 13 min audiobook, I am not overly ecstatic about A Plague of Giants. It will not be a book I rant and rave about to friends/co-workers, even though I feel it builds to something I believe will be greater as the series progresses. Starting out in the city of Pelemyn, we are introduced to Fintan the bard. Hundreds of dwellers have come to listen to his tales of the giants that had landed on their distant shores in days past. With the magical ability (referred to as a “kenning” in the novel) to transform his appearance and voice into that of the main characters of his stories, Fintan recounts unique POVs from around the kingdom during the giant invasion. Each character has a story all their own and all have unique kennings (mostly elemental in nature) at their disposal. While their powers are useful in keeping the giants at bay, overuse leads to extreme aging and even death, so all have to be careful in how they use their talents. Even with all of these unique talents, there is a newly discovered kenning by a young man that could lead to the salvation of the kingdom. While Fintan is in the midst of telling past tales, there is a current storyline going on from the viewpoint of Master Dervan. He has been appointed to be Fintan’s scribe and will jot down all tales Fintan recounts. These scenes set up beginnings/endings of each day (chapter) and give the reader a better glimpse into Fintan’s past and his interactions with the characters whom he imitates. To say I disliked this book would be a falsehood. Though it could be jumbled at times and remembering all of the character names was a hassle, the world-building and storyline interactions were incredible. Every unique storyline ended up meshing so well by the end of the novel, but the trek to get there was one of the main issues I had with the novel. I just found myself getting bored at times, losing interest and then regaining, noticing that I really hadn’t lost the gist of what was going on. I also believe that, if there are going to be so many POVs to choose from, give the reader a reason to be invested in them. The characters, at times, felt like those on The Walking Dead that show up for an episode or two, die off, and then you completely forget about them until they are on the cast couch on Talking Dead. Give me a reason to invest in characters that took you months/years to write. As far as the audiobook goes, Luke Daniels does a fine job giving each character a unique voice (minus the singing, but I’ll let it slide). The pacing, from his side, was appropriate and I look forward to him lending his voice to future projects. As far as Xe Sands go, her narration left a lot to be desired. Her accent was, at times, difficult to understand and certain words weren’t fully articulated. I hate to say this, but I sighed whenever one of her scenes came up. 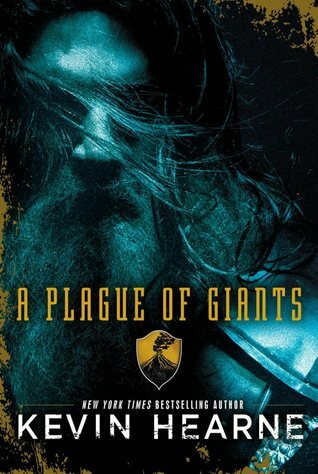 All in all, I’m not sure I’ll be re-reading A Plague of Giants any time soon, but I do want to see where the series goes from here because there are glimpses of greatness; and that ending was pretty special to say the least.